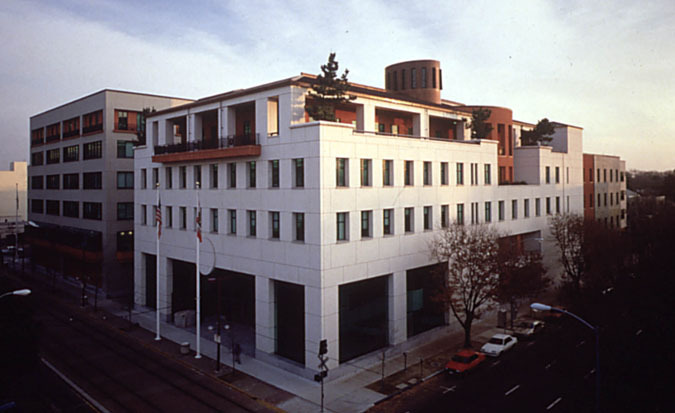 This multi -use building contains offices for the California Secretary of State, State Archives, Golden State Museum and a parking garage. The Offices of the Secretary of State include the Legislative Bill Annex, a 100-seat multimedia auditorium, cafeteria and banquet facilities, and a childcare facility. The Archives includes the 32,000 square foot Golden State Museum, a main research room, document processing and storage, and laboratories. The exhibit, research, and document areas are served by environmental control systems designed for preservation of documents and artifacts, including low temperature and humidity storage areas and a film freezer. The Golden State Museum brings California’s rich history to life with a mix of traditional exhibits and state-of-the-art technology. The museum was the first of the new generation of exhibit environments that feature “immersion experiences,” which integrates the visitor with the exhibits. This provided challenges to provide cooling and ventilation to exhibit spaces, for example a school bus with seating used to view videos on school desegregation.